Here’s some more Celebrity Dating news for you. This time it’s in regards to the woman known as Amber Heard, who is famous for getting with extremely rich men, until they run out of money, and then letting the relationship go toxic. Such was the case with her ex-husband Johnny Depp when they continually fought and argued until announcing their split in May of 2016, and later finalised their divorce in January of 2017. Amber Heard said she would give any and all money to charity and Depp made sure that she got the least amount possible. No wonder why, he sure was a juicy meal ticket for Ms. Heard, and even though she may have loved him, things clearly didn’t work out. However, Amber seems to have carved out a film career after Johnny Depp, where she met Elon on the set of Aquaman (still yet to be released), a film she was making in April of last year in Australia. This later prompted Elon to let her use his private jet and other luxuries whilst they were together. “Cha-Ching!” She must’ve thought. However, it seems as if Amber’s personality has caught up with her once again, and Elon has made an executive decision to annul relations, pre-engagement and definitely before any wedding bells were heard in the far distance. Probably a wise choice. 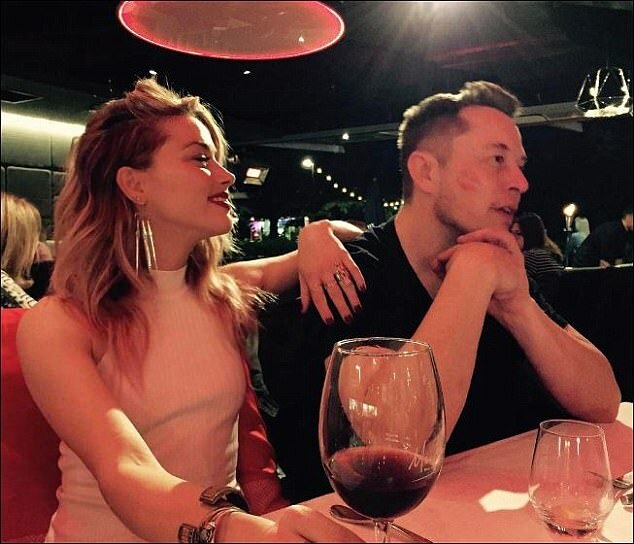 Will Elon return to his ex-wife of two times, Talulah Riley? Or will he focus on his work and bide his time until he finds somebody else that’s more to his taste? Perhaps somebody more laid back and less manipulative we would hope. Amber Heard said she was beaten and abused by Depp, however, it takes two to tango and Depp had no prior history of problems with anyone else, so it does make you wonder if Amber Heard is actually a “bunny boiler” as we presume that she is. That or just she’s a bit of “fire starter”. We can only imagine or presume that Elon didn’t like something about her once he got to know her a bit better. Heard received £5.3 million from the divorce from Johnny Depp, that she said she’d give to charity. She probably should have kept it, and we suspect she probably did, despite her claims of her intent to give it to charity.